 by pamlloydsite.In Brand Workshop, Business to Consumer, Content Creation, Content Marketing, Launch Event, Media Relations, Social. Nutmeg is an independent Indian restaurant based in Clifton Village, Bristol. The menu is inspired by the diversity of India and its 29 states stretching from the Himalayas to tropical south India. PamLloyd PR has been retained by Raja Munuswamy to share the Nutmeg difference. Nutmeg is a unique restaurant that cooks and serves real Indian food as you would expect to enjoy it on the subcontinent. This is a little different to most UK Indian restaurants where menus are often standardised to cater to British tastes and stereotypical ‘Indian’ dishes. We worked closely with the team and ran a brand workshop to understand their approach and to refine their story. Based on the key messages we agreed, we use a combination of local, regional and national media relations and social to tell the Nutmeg story. An engaged local following who enjoy great food and share their experience has made Nutmeg a real Bristol success story.